If you have a thing for vessels, you are definitely going to find this portion of the Bulletin to be “the ship” (see what I did there?). 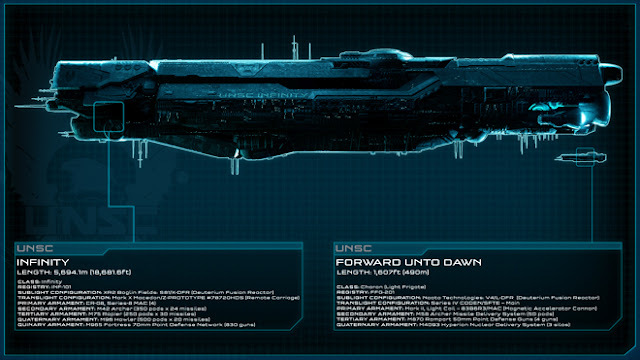 With all the talk about the UNSC Infinity (which serves as the center of your Spartan career) and the UNSC Forward Unto Dawn (hello, live-action web series! ), I thought it would be fun to take a deep dive into both. The above image shows just how big Infinity is compared to a measly frigate, and the below text provides more information than you could ever want, and then some. Enjoy! A warship unparalleled in human innovation, UNSC Infinity is easily the largest and most powerful vessel ever employed by Earth. 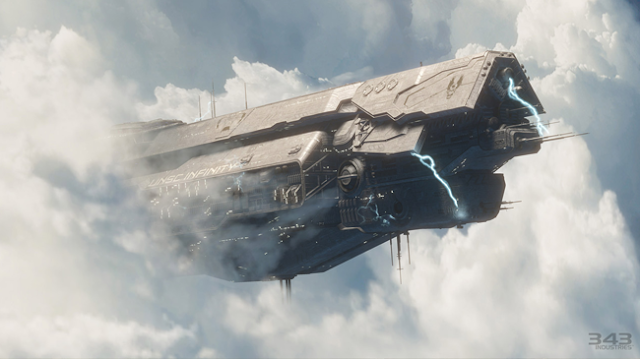 Although it was originally designed to contend with the Covenant, the war’s end recommissioned Infinity for peaceful exploration and research – until it discovered the Forerunner world of Requiem and was mercilessly pulled into the maw of the planet. Now, the fate of Infinity and its crew is inexorably tied to that of the Master Chief, as the ending of a 100,000-year story finally takes shape. Classical light frigate design, the UNSC Forward Unto Dawn is most renowned for its service on the frontlines in defense of Earth and its pursuit of Covenant forces through the Forerunner portal at Voi. There, the Dawn fought alongside a renegade Sangheili fleet and defeated the Covenant, ultimately bringing an end to the war. 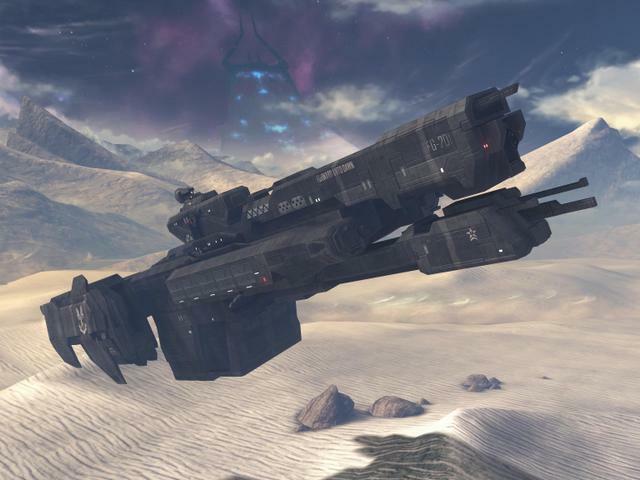 Unfortunately, upon its return to Earth, the ship was rent in two while passing through a collapsing slipspace portal, sending the fore of the vessel back to Earth, while the aft section, containing the Master Chief and Cortana, absently floated in uncharted space for years.